Fine impression and colour, sheet restored on the left side and with some foxing. Vertical ôban, 360 x 234 mm. 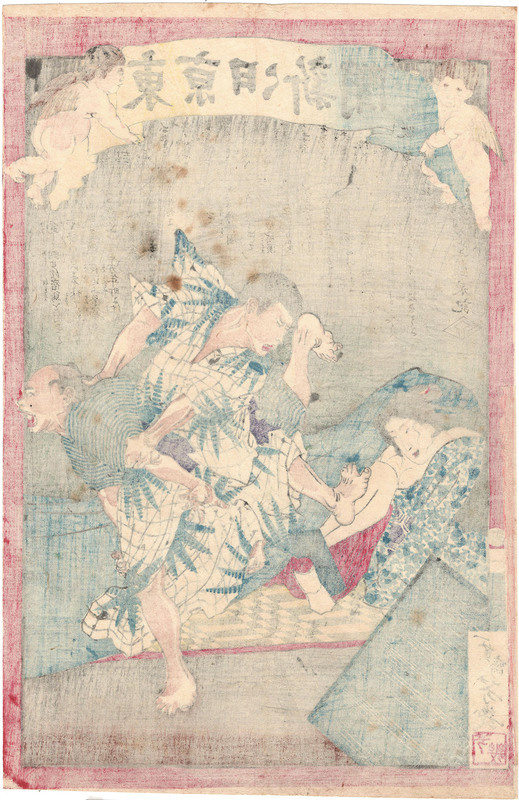 The print tells of a grotesque sexual story, See an excellent translation here. 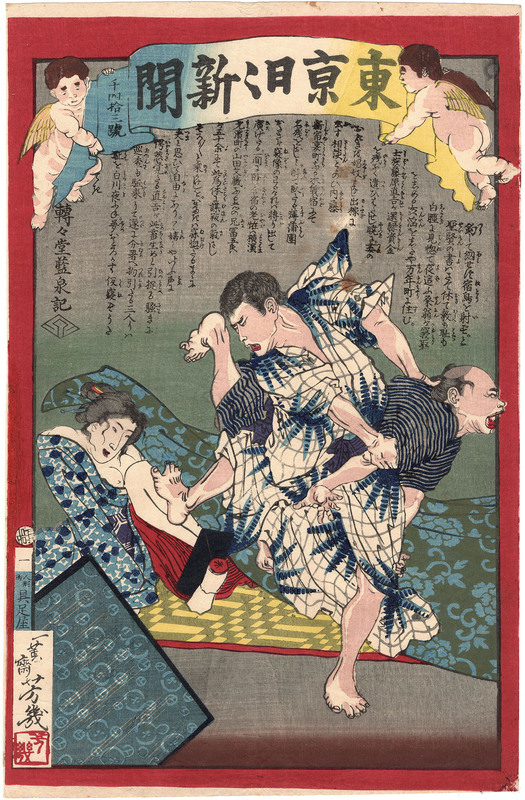 Son of the owner of a tea-house, Yoshiiku was a pupil of Kuniyoshi along with Yoshitoshi, six years his junior. 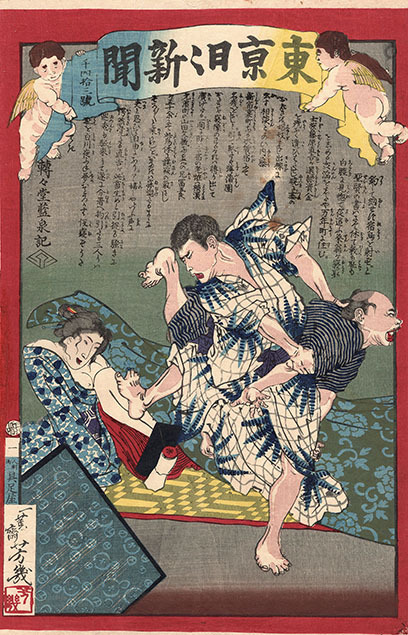 It is said that the elder Yoshiiku bullied Yoshitoshi and that the two printmakers shared a life-long rivalry. Despite this the two artists collaborated together to draw a few series of prints. From 1874 to 1875 Yoshiiku produced drawings for prints published by the newspaper Tokyo Nichi Nichi Shimbun (Tokyo Daily News), and then co-founded the Tokyo E-iri Shinbun (Tokyo Illustrated News).